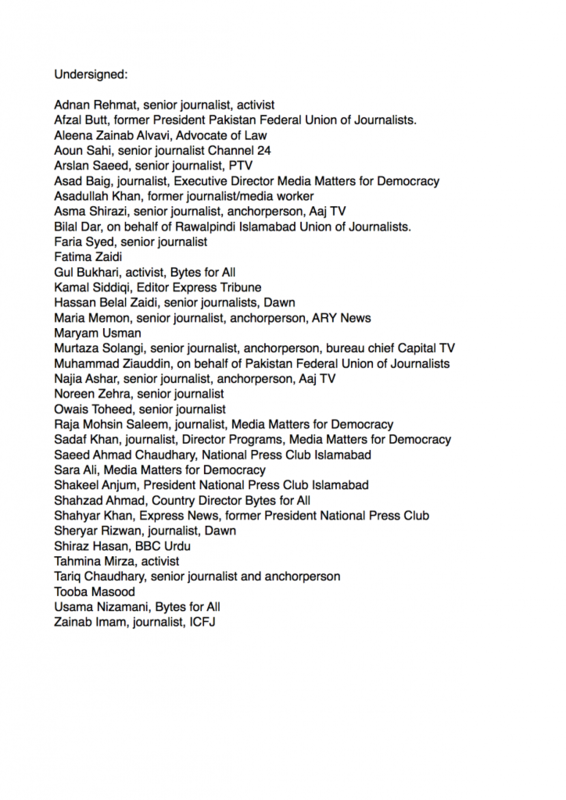 Islamabad 10th June: Senior journalists, anchorpersons and activists co-sign an online petition initiated by Pakistan Federal Union of Journalists and Media Matters for Democracy demanding the repressive cyber crimes bill to be redrafted and implications to ‘fundamental rights’ removed. 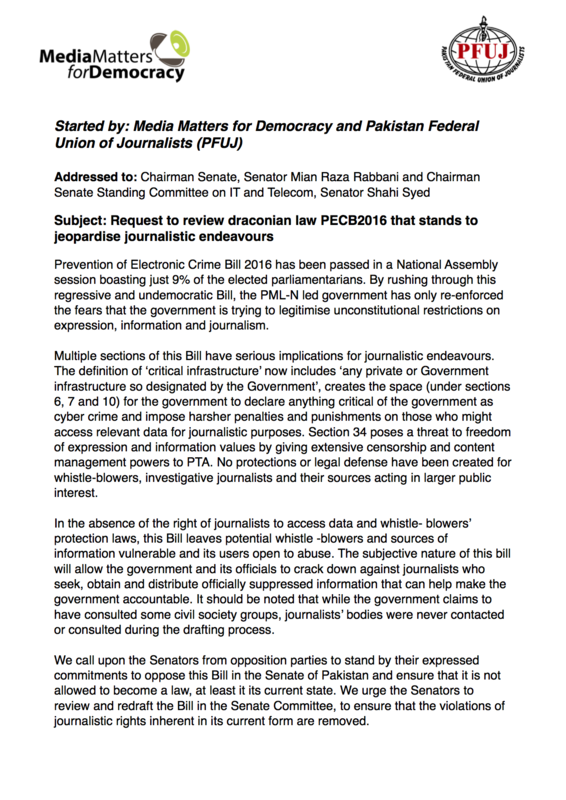 Pakistan Federal Union of Journalists, the national union of journalists and media workers, and Media Matters for Democracy, a not-for-profit geared towards media rights advocacy expressed concerns over the extremely repressive Prevention of Electronic Crimes Bill 2016 and its possible implications on journalists and journalism in Pakistan. The representatives of both groups, along with journalists from Rawalpindi and Islamabad gathered in the National Press Club on 31st May and hosted a consultation with Senators to share these concerns.